David Kaplan received his PhD in Astrophysics in 2004 from the California Institute of Technology. He was a Pappalardo Fellow in astrophysics at the Massachusetts Institute of Technology Kavli Institute for Astrophysics and Space Research (MKI) from 2004-2007. The following three years Kaplan was a Hubble Postdoctoral Fellow at MKI and at Kavli Institute for Theoretical Physics (KITP) at the University of California, Santa Barbara. 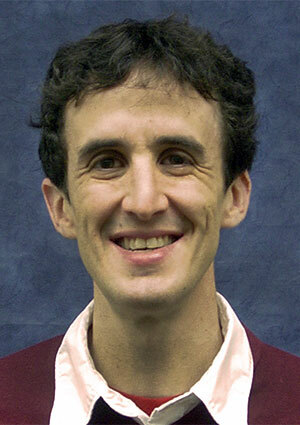 Since 2010, David Kaplan has been at University of Wisconsin-Milwaukee where he holds the rank of Associate Professor. He is also a Visiting Professor at the University of Wisconsin-Madison. Professor Kaplan is currently Chair of the Murchison Widefield Array Transient Science Team and he is a peer reviewer for several publications, including Astrophysical Journal, Astronomy & Astrophysics, Astrophysical Journal Letters, and Monthly Notices of the Royal Astronomical Society. D.L. Kaplan, J. Boyles, B.H. Dunlap, S.P. Tendulkar, A.T. Deller, S.M. Ransom, M.A. McLaughlin, D.R. Lorimer, and I.H. Stairs. “A 1.05 M☉ Companion to PSR J2222−0137: the Coolest Known White Dwarf?,” Astrophysical Journal, 789, 119 (2014). S.M. Ransom, I.H. Stairs, A.M. Archibald, J.W.T. Hessels, D.L. Kaplan, M.H. van Kerkwijk, J. Boyles, A.T. Deller, S. Chatterjee, A. Schechtman-Rook, A. Berndsen, R.S. Lynch, D.R. Lorimer, C. Karako-Argaman, V.M. Kaspi, V. I. Kondratiev, M.A. McLaughlin, J. van Leeuwen, R. Rosen, M.S.E. Roberts, and K. Stoval. “A millisecond pulsar in a stellar triple system,” Nature, 505, 520-524 (2014). D.L. Kaplan, M.H. van Kerdwuk, D. Koester, I.H. Stairs, S.M. Ransom, A.M. Archibald, J.W.T. Hessels, and J. Boyles. “Spectroscopy of the Inner Companion of the Pulsar PSR J0337+1715,” Astrophysical Journal, 783, L23 (2014). W.W. Zhu, A. Berndsen, E.C. Madsen, M. Tan, I.H. Stairs, A. Brazier, P. Lazarus, R. Lynch, P. Scholz, K. Stovall, S.M. Ransom, S. Banaszak, C.M. Biwer, S. Cohen, L.P. Dartez, J. Flanigan, G. Lunsford, J.G. Martinez, A. Mata, M. Rohr, A. Walker, B. Allen, N.D.R. Bhat, S. Bogdanov, F. Camilo, S. Chatterjee, J.M. Cordes, F. Crawford, J.S. Deneva, G. Desvignes, R.D. Ferdman, P.C.C. Freire, J.W.T. Hessels, F.A. Jenet, D.L. Kaplan, V.M. Kaspi, B. Knispel, K.J. Lee, J. van Leeuwen, A.G. Lyne, M.A. McLaughlin, X. Siemens, L.G. Spitler, and A. Venkataraman. “Searching for Pulsars Using Image Pattern Recognition,” Astrophysical Journal, 781, 117 (2014). D.L. Kaplan, T.R. Marsh, A.N. Walker, L. Bildsten, M.C.P. Bours, E. Breedt, C.M. Copperwheat, V.S. Dhillon, S.B. Howell, S.P. Littlefair, A. Shporer, and J.D.R. Steinfact. “Properties of an Eclipsing Double White Dwarf Binary NLTT 11748,” Astrophysical Journal, 780, 167 (2014). M.E. Bell, T. Murphy, D.L. Kaplan, P. Hancock, B.M. Gaensler, J. Banyer, K. Bannister, C. Trott, N. Hurley-Walker, R.B. Wayth, J.-P. Macquart, W. Arcus, D. Barnes, G. Bernardi, J.D. Bowman, F. Briggs, J.D. Bunton, R.J. Cappallo, B.E. Corey, A. Deshpande, L. deSouza, D. Emrich, R. Goeke, L.J. Greenhill, B.J. Hazelton, D. Herne, J. N. Hewitt, M. Johnston-Hollitt, J.C. Kasper, B.B. Kincaid, R. Koenig, E. Kratzenberg, C.J. Lonsdale, M.J. Lynch, S.R. McWhirter, D.A. Mitchell, M. F. Morales, E. Morgan, D. Oberoi, S.M. Ord, J. Pathikulangara, T. Prabu, R.A. Remillard, A.E.E. Rogers, A. Roshi, J.E. Salah, R.J. Sault, N. Udaya Shankar, K.S. Srivani, J. Stevens, R. Subrahmanyan, S.J. Tingay, M. Waterson, R.L. Webster, A.R. Whitney, A. Williams, C.L. Williams, and J.S.B. Wyithe. “A survey for transients and variables with the Murchison Widefield Array 32-tile prototype at 154 MHz,” MNRAS, 438, 352-367 (2014). B. McKinley, F. Briggs, B.M. Gaensler, I.J. Feain, G. Bernardi, R.B. Wayth, M. Johnston-Hollitt, A.R. Offringa, W. Arcus, D.G. Barnes, J.D. Bowman, J.D. Bunton, R.J. Cappallo, B.E. Corey, A.A. Deshpande, L. deSouza, D. Emrich, R. Goeke, L.J. Greenhill, B.J. Hazelton, D. Herne, J.N. Hewitt, D.L. Kaplan, J. C. Kasper, B.B. Kincaid, R. Koenig, E. Kratzenberg, C.J. Lonsdale, M.J. Lynch, S.R. McWhirter, D.A. Mitchell, M.F. Morales, E. Morgan, D. Oberoi, S.M. Ord, J. Pathikulangara, T. Prabu, R.A. Remillard, A.E.E. Rogers, D.A. Roshi, J.E. Salah, R.J. Sault, N. Udaya Shankar, K.S. Srivani, J. Stevens, R. Subrahmanyan, S.J. Tingay, M. Waterson, R.L. Webster, A.R. Whitney, A. Williams, C.L. Williams, and J.S.B. Wyithe. “The giant lobes of Centaurus A observe at 118 MHz with the Murchison Widefield Array” MNRAS, 436, 1286-1301 (2013). F. Crawford, A.G. Lyne, I.H. Stairs, D.L. Kaplan, M.A.McLaughlin, P.C.C. Freire, M. Bugay, F. Camilo, N. D’Amico, A. Faulkner, M. Kramer, D.R. Lorimer, R.N. Manchester, A. Possenti, and D. Steeohs. “PSR J1723 – 2837: An Eclipsing Binary Radio Millisecond Pulsar,” Astrophysical Journal, 776, 20 (2013). S.J. Tingay, D.L. Kaplan, B. McKinley, F. Briggs, R.B. Wayth, N. Hurley-Walker, J. Kennewell, C. Smith, K. Zhang, W. Arcus, N.D.R. Bhat, D. Emrich, D. Herne, N. Kudryavtseva, M. Lynch, S.M. Ord, M. Waterson, D.G. Barnes, M. Bell, B.M. Gaensler, E. Lenc, G. Bernardi, L.J. Greenhill, J.C. Kasper, J.D. Bowman, D. Jacobs, J.D. Bunton, L. deSouza, R. Koenig, J. Pathikulangara, J. Stevens, R.J. Cappallo, B.E. Corey, B.B. Kincaid, E. Kratzenberg, C.J. Lonsdale, S.R. McWhirter, A.E.E. Rogers, J.E. Salah, A.R. Whitney, A. Deshpande, T. Prabu, N. Udaya Shankar, K.S. Srivani, R. Subrahmanyan, A. Ewall-Wice, L. Feng, R. Goeke, E. Morgan, R.A. Remillard, C.L. Williams, B.J. Hazelton, M F. Morales, M. Johnston-Hollitt, D.A. Mitchell, P. Procopio, J. Riding, R.L. Webster, J.S.B. Wyithe, D. Oberoi, A. Roshi, R.J. Sault, and A. Williams. “On the Detection and Tracking of Space Debris Using the Murchison Widefield Array. I. Simulations and Test Observations Demonstrate Feasiblity,” Astronomical Journal, 146, 103 (2013). G. Bernardi, L.J. Greenhill, D.A. Mitchell, S.M. Ord, B.J. Hazelton, B.M. Gaensler, A. de Oliveira-Costa, M.F. Morales, N. Udaya Shankar, R. Subrahmanyan, R.B. Wayth, E. Lenc, C.L. Williams, W. Arcus, B.S. Arora, D.G. Barnes, J.D. Bowman, F.H. Briggs, J.D. Bunton, R.J. Cappallo, B.E. Corey, A. Deshpande, L. deSouza, D. Emrich, R. Goeke, D. Herne, J.N. Hewitt, M. Johnston-Hollitt, D. Kaplan, J.C. Kasper, B.B. Kincaid, R. Koenig, E. Kratzenberg, C.J. Lonsdale, M.J. Lynch, S.R. McWhirter, E. Morgan, D. Oberoi, J. Pathikulangara, T. Prabu, R.A. Remillard, A.E.E. Rogers, A. Roshi, J.E. Salah, R.J. Sault, K.S. Srivani, J. Stevens, S.J. Tingay, M. Waterson, R.L. Webster, A.R. Whitney, A. Williams, and J.S.B. Wyithe. “A 189 MHz, 2400 deg2 Polarization Survey with the Murchison Widefield Array 32-Element Prototype,” Astrophysical Journal, 771, 105 (2013).